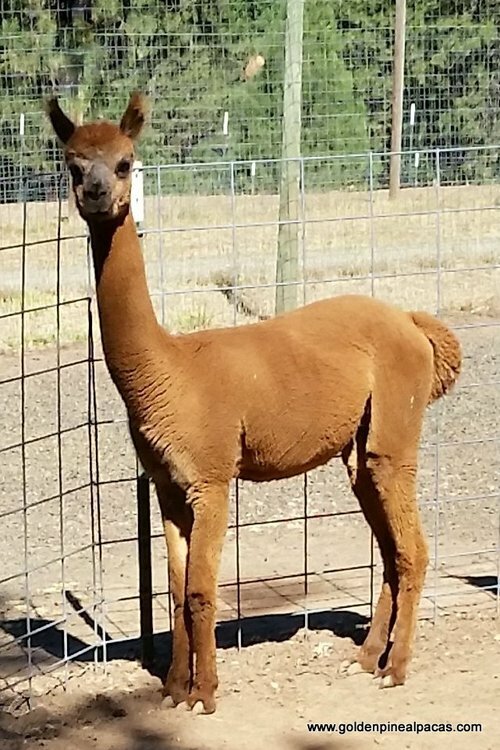 Gypsy Girl is a lovely, highly-improved true black female with many of the attributes of her sire Velvet's Prince William, who was the recipient of many high awards in the industry and known for his very soft fleece. Her shiny, long-stapled fleece is dense with defined crimp on tiny staples and very consistent across her blanket (18.4 CV). 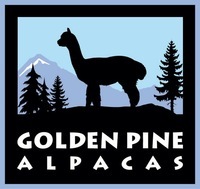 Golden Pine's Victoria is a stunning-looking, well-proportioned, robust alpaca who will make an outstanding foundation female. Her soft, long-stapled fiber is a gorgeous shade of ginger and cinnamon. Vicki retains her fineness (21.8 AFD) into her 4th shearing. 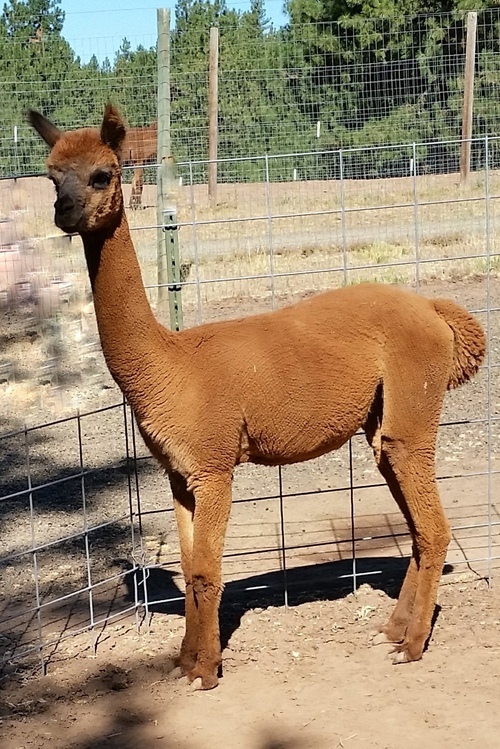 Vicki's sweet nature and and excellent bloodlines will be an asset to breeders. 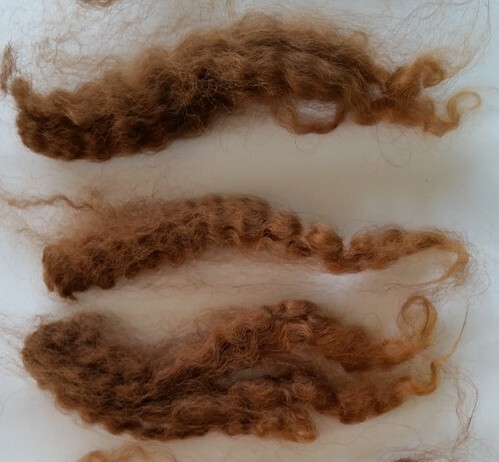 An Etsy.com reviewer who purchased her fiber from our shop commented: Lovely, lovely fiber. Gorgeous color, silky and light! Thank you! 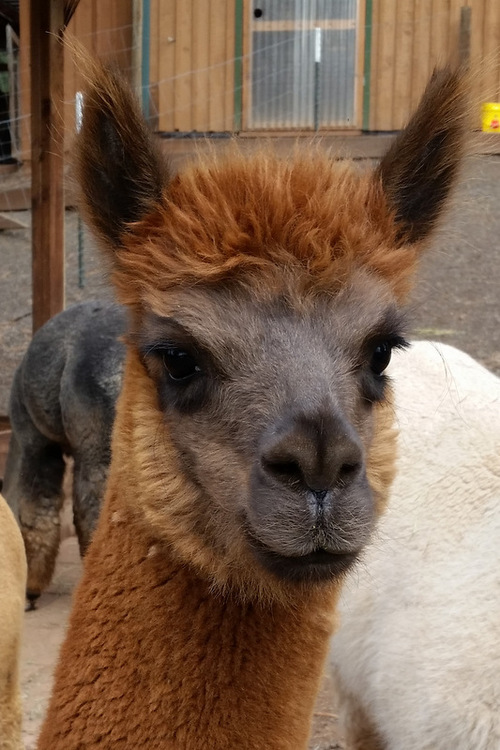 Another reviewer commented: Absolutely some of the finest fiber I have found. Ridiculously soft. Super happy spinner here! 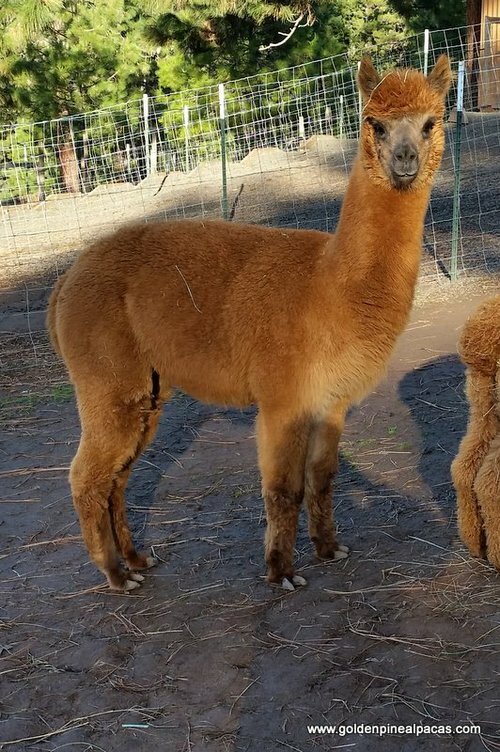 Vicki comes with a breed to buyer's choice of our herdsires Rainman or Antonio. Antonio is proven to throw grey.